Let me be honest, I love high-end and boutique electronics. Show me something with ¼” anodized aluminium faceplates or polished rosewood sides and I’ll be a happy guy. On the other hand, while those aspects of big ticket products are nice, they’re hardly necessary for functionality and there’s truly nothing worse than a product that’s all show and no go (to borrow a phrase from the automotive world)! Still, high-end construction and materials often seems to accompany many great sounding products. Given my feelings, why am I so impressed with a mixer that carries an MSRP or $379? Noone who has been in the audio industry for any length of time could possibly be unaware of Yamaha’s dominance at the upper middle (and top end) of the live sound console market. I remember working with a small format Yamaha console in the mid 1980’s and being very impressed with its clean sonics and good build quality. Yamaha has now produced a console at the bottom end of the market that incorporates many of the things they’ve learned along the way. difference between them being the inclusion of a stereo digital effects processor in the ‘x’ version reviewed here. As you would expect at the console’s price point, the construction materials are not of battleship grade quality, but the console feels surprisingly sturdy given its partial plastic construction. Unlike some other (considerably more expensive) consoles I’ve recently used, there is no wiggle in the pots of the MG124cx, nor does it feel cheap. The MG124cx offers six microphone inputs on XLR jacks, phantom power is available. The first four channels of the Yamaha console are what I would call “dedicated” microphone channels, the next two channels in line, can be used as mic inputs or stereo line inputs. The main input channels feature a good sounding three-band eq, peak reading LED, gain, pan, aux (switchable between pre and post), effects, and pfl switch, in addition to a nice feeling 60mm fader. An unexpected (and most welcome) feature in a console at this price point is the inclusion of four compressors. Although they are of the simplest design possible (they offer just one knob for adjustment!) they actually sound good, and operate in the analog domain. I found them quite useful for drum overheads and vocals. It’s too bad they didn’t include a stereo compressor that could be patched across the main outputs. The effects quality is probably about what you’d expect from an inexpensive live sound console, which is not to say that the overall quality level of onboard processing hasn’t vastly improved over the years. More that the choices in effects (there are 16 available) are typical in the types of effects that are included. The eight available reverbs are all usable to some degree, the “room” presets being my favourite. Also included are echo, flange, phase, chorus, autowah, and an awful distortion preset. I’m not sure when manufacturers will start deleting the distortion presets on digital multieffects processors, but I hope it’s soon. Additionally there are two stereo channels, which devoid of microphone inputs are for line level stereo signal use. They are configured in a similar way to the main inputs although they lack the midrange eq. Also cool, are the lighted channel selection switches. They look and feel like they were lifted from a multithousand dollar console. Nice touch, Yamaha! 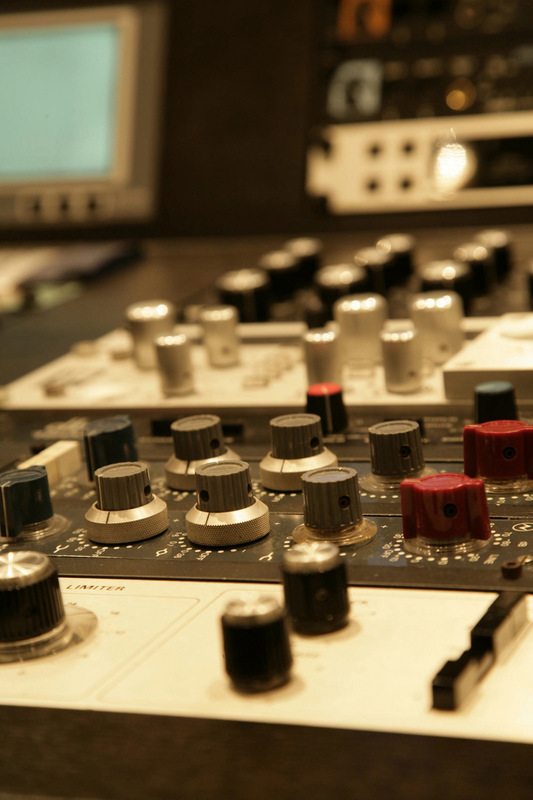 The Master section of the console has the faders for the stereo mains and ½ subgroups, also present are a two track input, headphone/monitor level, global phantom power switch, effects send and returns, the multieffects selection area, and a 12 segment LED meter. The main outputs are on balanced XLR connections. TRS connectors comprise the rest of the I/O’S other than the record and playback inputs and the two stereo line input channels which have RCA inputs in tandem with the TRS inputs. Well, I was wrong! I was very pleasantly surprised by the overall refinement of the little Yamaha console. Drum overheads are generally a good test of consoles and preamps. Using the Yamaha with a pair of Microtech Gefell M71K’s on a Premier birch drum kit I was generally impressed by the way the Yamaha handled the transients and gave a good rendition of the acoustic space of the room. The included compressors (while not 1176 quality, of course) sounded quite good, and enhanced the sound of the overheads quite nicely. I had similar good results with the MG124cx on vocals with microphones ranging from the Audio Technica 4060, beyerdynamic m88tg, to the aforementioned SM57. The included compressor once again was a useful addition. 12 inputs total including 6 microphone inputs; onboard effects processor; four analog compressors, lighted channel selectors. Two track inputs.